NEGOTIATION THROW PHONES & MORE! Welcome to the home of Direct-Link Crisis Response Throw Phone Systems used by over 1,000 agencies worldwide as well as some of the other most unique and innovative law enforcement and military technologies on the planet! 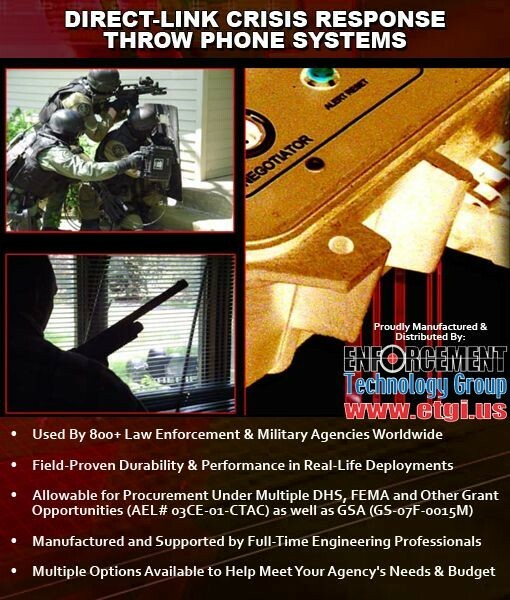 At Enforcement Technology Group, Inc. (ETGI) we are dedicated to the research/development of solutions to help Crisis Negotiation, Tactical & Emergency Response professionals perform their duties more safely and effectively. For security purposes, complete information regarding Direct-Link Crisis Response Throw Phone Systems and other “sensitive” equipment solutions & resources we offer may ONLY be accessed by logging into the "Secure Area" of our website. We are here to help so if you have any questions or need additional information/assistance please contact us. On behalf of everyone at ETGI stay safe and we look forward to being of service! 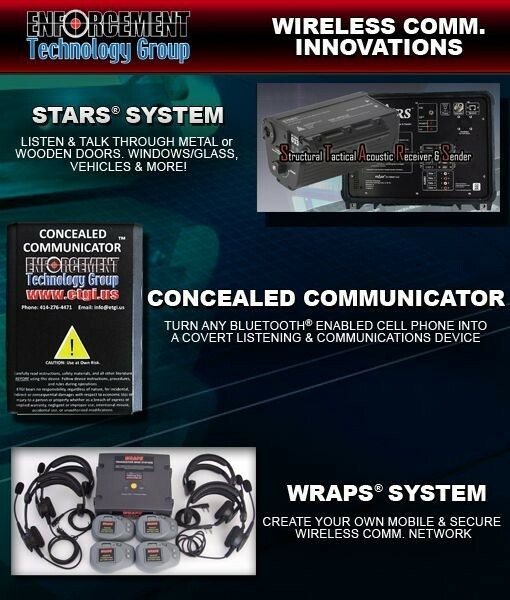 Enforcement Technology Group, Inc. (ETGI) is proud to be the “sole-source” manufacturer/distributor of Direct-Link Crisis Response Throw Phone Systems that are used by over 800 law enforcement, military, and correctional agencies worldwide. 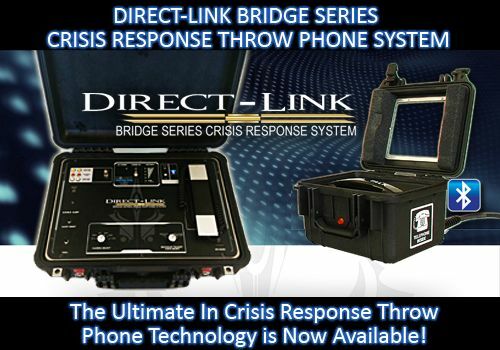 The Direct-Link LifeLine Series is the most affordable Throw Phone System we offer. The most affordable Crisis Response Throw Phone System we offer. IMPORTANT NOTE: For pricing information, please contact us directly at 414-276-4471.